There’s big. And then there’s bigger. Introducing Triple Deuce, set to be the world’s biggest superyacht at a whopping 222 meters (728 feet) long. 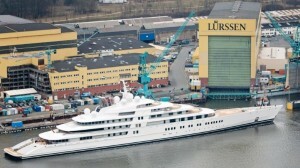 At $1 billion, it will also be the most expensive private yacht ever built.